So, while waiting for the shipment of the cartridges, I wrote a simple protocol for a test. I made sure Eric understood that I was just an ordinary shooter, having no expertise in ballistics nor fancy equipment available. He assured me that they could get all sorts of scientific test results otherwise, and were simply interested in how the ammunition functioned for me. I’m a certified firearms and self defense instructor, and go through a lot of ammunition, but I’d never really thought a great deal about potential differences between brands, except whether or not the cases were reloadable. Reasonable price and free shipping for case purchases were the only other criteria. So, I was curious to see if there were other differences. I’d always chuckled a bit when people told me one brand or another was “more accurate,” since it seems to me that, at least for self defense, accuracy lies in the skill of the shooter. Super-dooper target accuracy just never interested me. But I was willing to entertain the possibility during my unscientific tests. I started with a completely clean gun each session, testing for residue in the barrel after each set. First I shot the test ammo, along with two of my usual brands, outdoors. 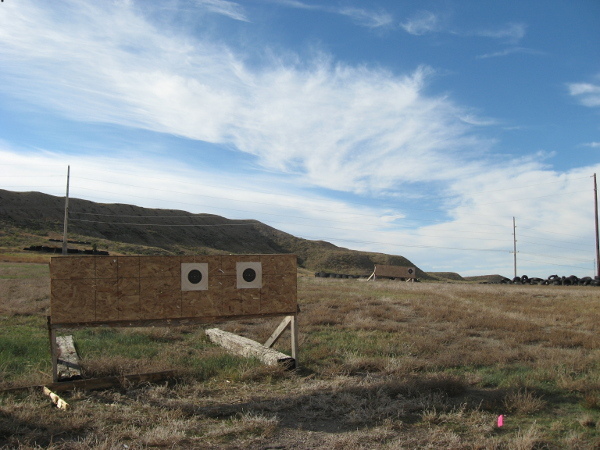 Five rounds each, at ten and twenty feet from the targets, while standing and unsupported. I couldn’t see any particular difference in the brands, only the expected larger groups and lower score with the longer distance. Again, my skill seemed to be the only variable. 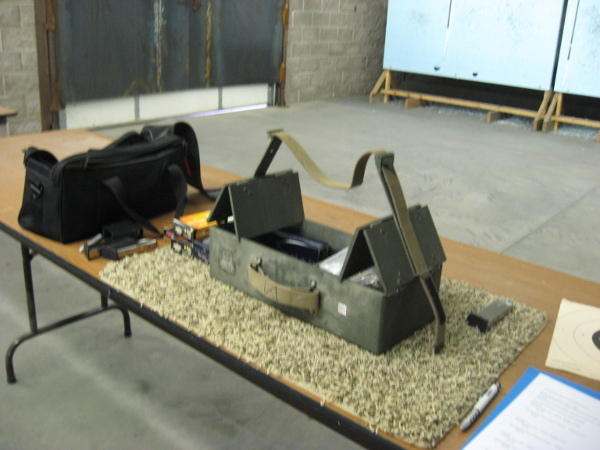 Then I thought testing from bench rest would be more consistent, so took the test to our indoor range. Nobody else was using the facilities, so I could take my time and be as sure as possible that each set was conducted under similar conditions. I was shocked to discover that my scores were worse and my groups no better than they had been unsupported outdoors! Remember that I’ve never been a precision target shooter anyway, but this seemed very strange. Then I was able to borrow a Walther PPQ 9mm from a friend. I wanted to see if a different gun would give me different results. Once again, I started with a completely clean gun, and tested both outdoors and inside at bench rest, at ten and twenty feet, swabbing after each set for residue. Then I shot a few rounds of both the Armscor and PMC from 25 yards with my 9mm carbine, just for the heck of it. The carbine has had a few feed and ejection failures with any ammunition I’ve run before, but there were no malfunctions that day. No idea what to think about that. And I hadn’t even cleaned the carbine first. After shooting both distances, from bench rest and standing unsupported, I was actually impressed with the fact that there was little discernible difference between the new brands or compared to the two I was most familiar with. I had slightly worse scores and larger groups using the Walther, but that was mostly due to the different balance and recoil I wasn’t used to, not the ammunition. The bore swabs showed consistently minimal residue, even toward the end of a session. These are all clean firing rounds. Final cleaning of both guns left the bores squeaky clean with minimal effort, and I could see no discernible copper buildup – as I’d found with some really cheap foreign ammo years ago. My conclusion is that any modern, factory fresh brand of handgun ammunition is probably going to be accurate and reliable for the ordinary shooter, especially those most interested in self defense. We can trust the overall reliability and accuracy of our ammunition so we can devote more time to friendly arguments over the “right” caliber and which gun is best. Thank you so much, Eric… and AmmoMan, for the opportunity to test these, and for all the fun I had doing so. This cat can’t get too much tuna. And THEN, Eric sent me three kinds of JHP ammo to test. Watch for that review coming soon. Please note that I have no financial involvement with AmmoMan and, aside from several boxes of ammunition, received no other compensation for this review. This entry was posted in Mama's Rants and tagged ammunition, Self defense. Bookmark the permalink.